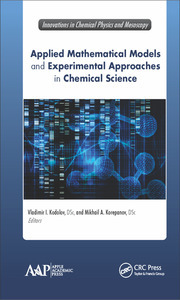 Applied Chemistry and Chemical Engineering, Volume 4: Experimental Techniques and Methodical Developments provides a detailed yet easy-to-follow treatment of various techniques useful for characterizing the structure and properties of engineering materials. 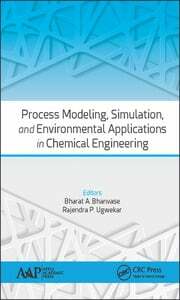 This timely volume provides an overview of new methods and presents experimental research in applied chemistry using modern approaches. 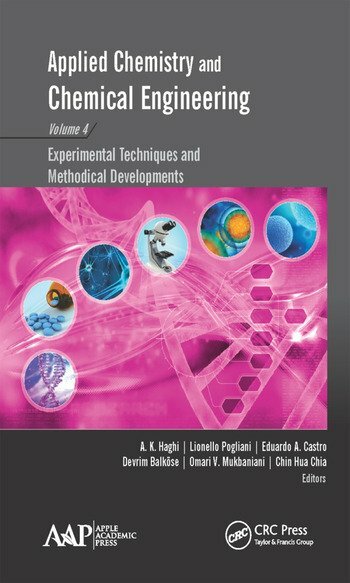 Each chapter describes the principle of the respective method as well as the detailed procedures of experiments with examples of actual applications and then goes on to demonstrate the advantage and disadvantages of each physical technique. Thus, readers will be able to apply the concepts as described in the book to their own experiments. This volume presents research and reviews and information on implementing and sustaining interdisciplinary studies in science, technology, engineering, and mathematics. A.K. Haghi, PhD, is the author and editor of 165 books, as well as 1000 published papers in various journals and conference proceedings. Dr. Haghi has received several grants, consulted for a number of major corporations, and is a frequent speaker to national and international audiences. Since 1983, he served as professor at several universities. He is currently Editor-in-Chief of the International Journal of Chemoinformatics and Chemical Engineering and Polymers Research Journal and on the editorial boards of many International journals. He is also a member of the Canadian Research and Development Center of Sciences and Cultures (CRDCSC), Montreal, Quebec, Canada. He holds a BSc in urban and environmental engineering from the University of North Carolina (USA), an MSc in mechanical engineering from North Carolina A&T State University (USA), a DEA in applied mechanics, acoustics and materials from the Université de Technologie de Compiègne (France), and a PhD in engineering sciences from Université de Franche-Comté (France). Lionello Pogliani, PhD, is a retired Professor of Physical Chemistry. He received his postdoctoral training at the Department of Molecular Biology of the C. E. A. (Centre d’Etudes Atomiques) of Saclay, France, at the Physical Chemistry Institute of the Technical and Free University of Berlin, and at the Pharmaceutical Department of the University of California, San Francisco, USA. He spent his sabbatical years at the Technical University of Lisbon, Portugal, and at the University of Valencia, Spain. He has contributed more than 200 papers in the experimental, theoretical, and didactical fields of physical chemistry, including chapters in specialized books and a book on numbers 0, 1, 2, and 3. A work of his has been awarded with the GM Neural Trauma Research Award. He is a member of the International Academy of Mathematical Chemistry, and he is on the editorial board of many international journals. He is presently a part-time teammate at the Physical Chemistry department of the University of Valencia, Spain. Eduardo A. Castro, PhD, is full professor in theoretical chemistry at the Universidad Nacional de La Plata and a career investigator with the Consejo Nacional de Investigaciones Cientificas y Tecnicas, both based in Buenos Aires, Argentina. He is the author of nearly 1000 academic papers in theoretical chemistry and other topics, and he has published several books. He serves on the editorial advisory boards of several chemistry journals and is often an invited speaker at international conferences in South America and elsewhere. Devrim Balköse, PhD, is currently a faculty member in the Chemical Engineering Department at Izmir Institute of Technology, Izmir, Turkey. She graduated from the Middle East Technical University in Ankara, Turkey, with a degree in chemical engineering. She received her MS and PhD degrees from Ege University, Izmir, Turkey, in 1974 and 1977 respectively. She became Associate Professor in macromolecular chemistry in 1983 and Professor in process and reactor engineering in 1990. She worked as research assistant, assistant professor, associate professor, and professor between 1970–2000 at Ege University. She was the Head of Chemical Engineering Department at Izmir Institute of Technology, Izmir, Turkey, between 2000 and 2009. She is now a retired faculty member in the same department. Her research interests are in polymer reaction engineering, polymer foams and films, adsorbent development, and moisture sorption. Her research projects are on nanosized zinc borate production, ZnO polymer composites, zinc borate lubricants, antistatic additives, and metal soaps. Omari Vasilii Mukbaniani, DSc, is Professor and Chair of the Macromolecular Chemistry Department of Iv. Javakhishvili Tbilisi State University, Tbilisi, Georgia. He is also the Director of the Institute of Macromolecular Chemistry at Iv. Javakhishvili Tbilisi State University. He is a member of the Academy of Natural Sciences of Georgia. For several years he was a member of advisory board and editorial board of the Journal Proceedings of Iv. 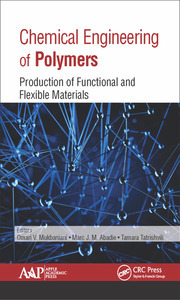 Javakhishvili Tbilisi State University (Chemical Series) and contributing editor to the journals Polymer News, Polymers Research Journal, and Chemistry and Chemical Technology. His research interests include polymer chemistry, polymeric materials, and chemistry of organosilicon compounds, as well as methods of precision synthesis to build block and the development of graft and comb-type structure. He also researches the mechanisms of reactions leading to these polymers and the synthesis of various types of functionalized silicon polymers, copolymers, and block copolymers. Chin Hua Chia, PhD, is an Associate Professor at the School of Applied Physics, Faculty of Science and Technology at Universiti Kebangsaan Malaysia (National University of Malaysia), Malaysia. A recipient of the Young Scientist Award from the National University of Malaysia and the Malaysian Solid State Science and Technology (MASS) in 2012 and 2014, respectively, he is a member of several professional organizations and has published several book chapters and more than 100 articles in professional journals as well as has presented at many professional meetings. His core research interests include polymer, nanocomposites, chemistry of lignocellulosic materials, and magnetic nanomaterials.